In 1994, Colina Park Golf Course in City Heights was in sad shape. That same year, Pro Kids incorporated as a 501(c)3. 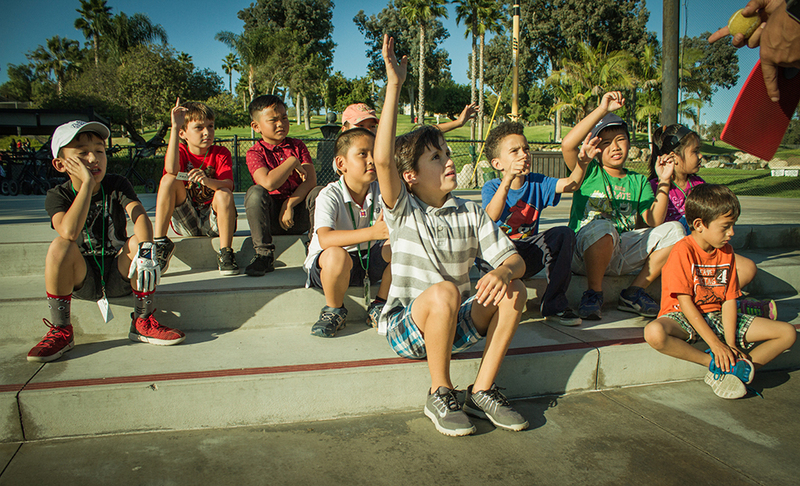 Partnering with the City of San Diego, Pro Kids took over golf course operations and began delivering golf and life skills instruction to youth in the community. Local police officers were so excited about the new program that they volunteered to clear debris from the golf course. But no amount of cleaning could improve the tattered clubhouse, where bars covered the windows and carpet was held together by tape. In 1999, Pro Kids found a guardian angel in the Building Industry Association (BIA); through its charitable foundation, BIA Cares for Kids, the trade group sponsors projects that benefit the youth of San Diego. The BIA built a two-story, 7,000 square foot facility for Pro Kids housing a community room and a golf simulator on the first floor and space for education programs upstairs. When the clubhouse opened in October of 2001, BIA members had donated over $960,000 in material and labor to the $1.7 million project. It is BIA Cares’ largest project ever. In 2012, Pro Kids expanded the clubhouse to meet increased demand for services. The remodel added 1,200 square feet of program space, including a new Teen Lounge and Scholar’s Center. In 2003, with help from the USGA, Pro Kids revitalized the par-3, 18-hole Colina Park Golf Course, restoring fairways and greens and adding a water feature. In 2013, a multipurpose field and short driving range replaced an underutilized putting area. In 2015, disc golf was added. Colina Park Golf Course serves Pro Kids members and is also open to the public. To learn more, visit www.colinaparkgolf.com.